Magic Leap's move into the consumer mainstream is still out on the horizon, but the well-funded augmented/mixed reality tech startup this week has begun to take orders on a version of the product that will give developers an opportunity to kick the tires. And this toe-dipping into the AR pool comes at a steep price. Magic Leap Inc. 's One Creator Edition, available at magicleap.com, fetches the lofty price of $2,295 on pre-order. The package includes the platform's Lightwear headset, Lightpack computing pack, a handhold controller, chargers and a quick start guide. 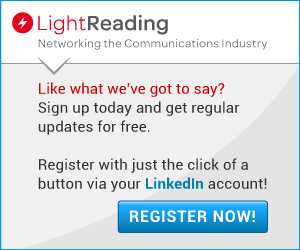 Its complementary "LiftOff" service for developers provides setup, calibration and fitting. And even if you have the cash to splash on the One Creator Edition, there are even more constraints to grapple with, as Magic Leap is limiting sales (with limited quantities) to developers in Chicago, Los Angeles, Miami, New York, San Francisco and Seattle, though more cities are expected to join the list this fall. Pre-sales of the developer version is a step in the right direction for the startup, but the company's must make a quantum leap forward if it's to fulfill its grander consumer plans. 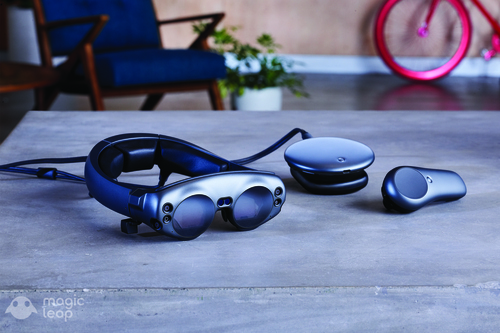 "We are going to be integrating Magic Leap Two into AT&T's 5G cell network," he said, adding that the company will provide software updates to keep the One Creator Edition up to snuff. Magic Leap hasn't set a price or a launch date for the produce for the masses. But it's probably smart of Magic Leap to be methodical and to take its time, as early impressions of the product for developers haven't been great. The Verge called it a "flawed glimpse of mixed reality's amazing potential." While the headset is "surprisingly comfortable" and light, its field of view was "constantly distracting," the apps weren't all that interesting, and the image quality was merely on par with Microsoft's HoloLens. Despite all that, the product "is still very, very impressive compared to most mixed reality headsets," the pub found. Wired found that the experience wasn't very good until the device was properly fitted, but was "creative and compelling" once those wrinkles were ironed out. But the overall experience was not "mind-blowingly better than the competition." Even if AR becomes a key app for the 5G networks of tomorrow, it appears that, as of today, everyone needs to lower the bar and cycle down the hype-meter on Magic Leap with respect to the raw wizardry and experience it will be able to deliver out of the chute. Despite this week's step forward, we're still a far cry away from the vision that got everyone so hot and bothered in the first place.